Why does the Infiniti Pro by Conair Flat Iron Work So Well at Straightening Short Hair? Are you one of those people that get easily frustrated when it’s time to curl your short hair? You are not alone by any means because short hairstyles are among the most difficult to straighten. There just is not the volume of hair to work with and some flat irons are just not up to the task because of that. One flat iron that many are saying works well at straightening short hair is the Infiniti Pro by Conair Tourmaline Ceramic Flat Iron. Here is what we found out about this straightening iron for short hair when we looked at it a little closer. This flat iron from Conair has many nice features. Among them are its 30 heat setting choices. You can set it as high as 455°F which is enough heat to straighten even the toughest short hair. The tourmaline/ceramic infused plates it has are also a very nice touch. 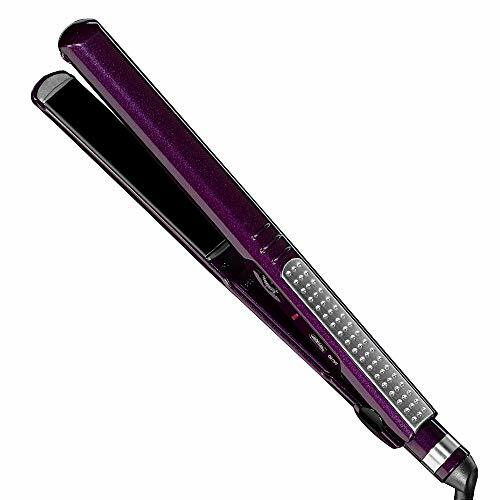 These heat plates are also 1-inch in width so that makes this Infiniti Pro by Conair Flat Iron a very versatile hair straightening and styling tool. 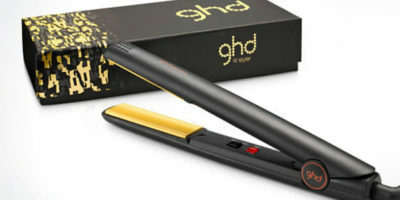 This flat iron’s heat plates are also longer than normal which helps speed up your short hair straightening process. Heat selection on this Infiniti Pro by Conair Flat Iron is done by means of a rheostat dial. You simply choose a setting between 1 – 30 that seems to work well on your type of short hair. If you forget to turn it off before you leave the house there are no worries here because it includes an auto-shutoff function too. With its rounded edge, lightweight design (weighs only 9-ounces) you can not only straighten hair comfortably with it but you can also use it as a flip curler or add waves to your hair. It comes with a salon length 9’ power cord with attached swivel end too. That means it will not restrict your movement as you use it. One of its best features that make it great for use on short hair is its ultra-smooth ceramic coated heat plates. Flat iron heat plates sometimes tend to grab short hair because you are working closer to your scalp where it’s harder to clasp your hair and pull it through the straightening iron smoothly. That is not the case with the floating ceramic coated plates on this straightening iron because their surface is up to 89% smoother than most flat iron plates. Its tourmaline crystal infusion in the heat plates is a nice bonus too for your shorter hairstyle. It helps eliminate fly-away hair and frizz because this technology helps neutralize static electricity and helps your hair retain more moisture. The result is you get a short hair straightening treatment that looks like it was done by a professional that has some added shine too. Conair really does a nice job standing behind this flat iron. It comes with a full 5-year limited warranty. 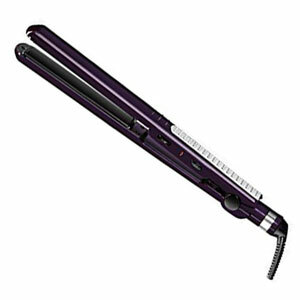 That is among the longest warranties you will find on a straightening iron in its price range. We have told you many times on our hair styling tool reviews that we are not big fans of rheostat dial heat selection. Sure this gives you many choices but you are only guessing at the exact temperature you are styling your straight hair at. Another potential problem for some who use this flat iron is the fact the heat plates may be slightly longer than they are used to. This can mean a longer adjustment period as they get acclimated to using this flat iron. 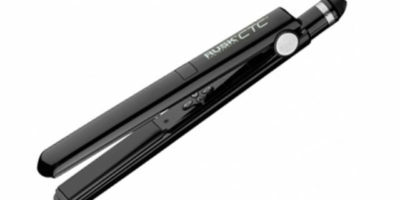 We all feel this is an impressive flat iron for all the features you get with it in its price range. Some of the features on it you would only expect to find in much higher prices hair straighteners. It has a wide range of temperature selections and it’s lightweight and easy to use. You can’t beat the performance of its ceramic coated/tourmaline crystal infused heat plates either. It definitely will make straightening your shorter hairstyle easier if you choose to purchase it.